One idea that I forgot to cover in the video is that when Black tried …Rfe8?, he’s not completely busted if I had tried Rxd7 Rxe1+ Kh2, because he has …Bxd7 in the end. Even then, his pawn structure is worse. While America isn’t known for its ability to produce world class grandmasters, there’s definitely been a recent trend of increasing strength in the states. Most players love to talk about Hiraku Nakamura and Wesley So, I think more people should pay attention to Grandmaster Sam Shankland. I first watched Shankland play at this past year’s US Chess Championships when he upset then tournament leader Varuzhan Akobian to cause a late shake up in the standings. Since then, he’s been relatively unheard, despite a strong performance at the Tata Steel Challengers section this past weekend (3rd). For today’s post, I wanted to share a few of his games so maybe you too can appreciate his style of play. 9. exf6 By opting to play this line of the French, Shankland must effectively control the c5 and e5 squares. White should have relatively easy development, and a backwards pawn to attack on e6. 14. Rc1 In a relatively equal position, Shankland takes the most principled approach. By putting his rook on the same file as the opponent’s queen, Black has some questions to answer. 16. Na4 A strong move. From a4, the knight controls c5 (a critical square) and b6, while opening up the rook. If Black isn’t careful, Shankland will have a nice outpost on c5. 16…Bc8 A slight inaccuracy from Black. In an effort to create more space on his own side of the board, Black neglects White’s ability to find active play. 17. Ne5 Rather than allowing Black to push and trade his backwards e-pawn, Shankland uses a common idea of a blockade by placing his knight here. 19. Bxh7+ A critical moment in the game. With this exchange, White stands better as he traded his isolated d-pawn for the h-pawn, weakening the enemy kingside while maintaining the e5 outpost in the center. 24. Nc5 Putting pressure on the backwards e-pawn and encouraging Black to trade away the bishop pair. 26. Ne5 With no clear play, Shankland improves his position. 26…g5? Michiels intended to find some sort of play here, but opens up holes in front of his king. 27. g4! A great move! White blockades the g-pawn, while creating easy access for a rook lift to h3, fully exposing the king. 30. Rc3 Paralyzing Black. After 30… Rh7, the game falls apart quickly. A good game by Shankland. By optimizing his pieces from what was relatively a equal position, Shankland was able to create outposts to help him limit Black’s ability to move. 5…a6 The Najdorf is a favorite opening in Shankland’s repertoire. Recently he made a video series for chess.com on the line, which you can watch here. 8…h5 Limiting any quick kingside pawn storm. 13…Kf8 A very interesting idea. By castling by hand, Shankland keeps his rook on h8, a much more appropriate file than the f-file. 15.exd5 With this exchange, Black closes the d-file, hiding his backwards d6 pawn, which is the main weakness in many Najdorf structures. 20…Bd8 With this move Black sets the tempo of the game. This bishop will slowly find its way to b8, allowing Shankland to connect the rooks while maintaining control of the c-file. White has wasted time with the rook maneuvers on the queenside, allowing for Black to play for a slight advantage. 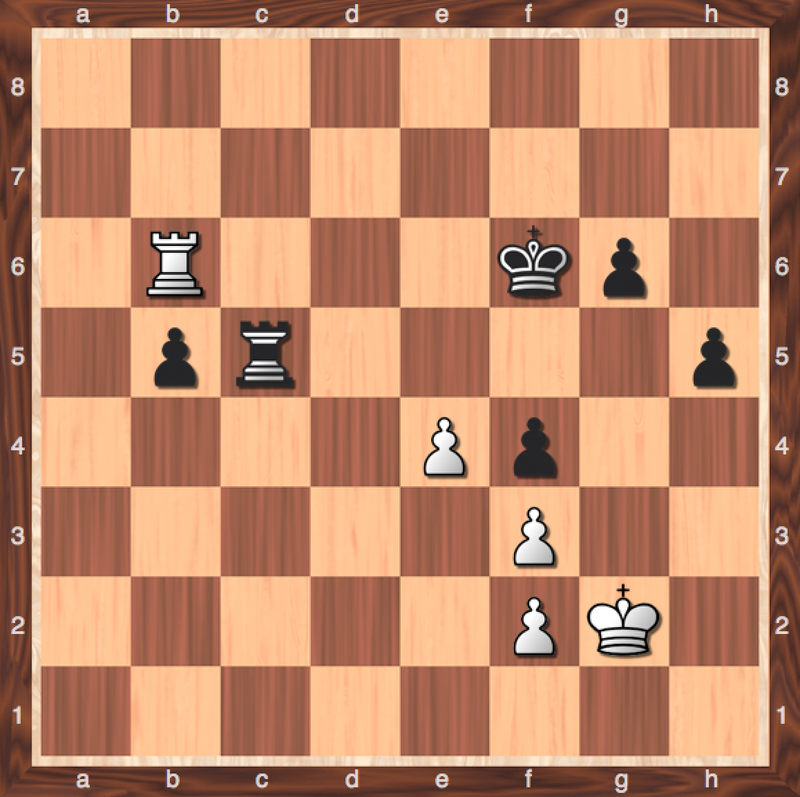 22.Na2 White must solve the awkwardness in her position. The Women’s International Master’s pieces on the queenside are not coordinated, and will allow for Black to seize control of the c5 square. 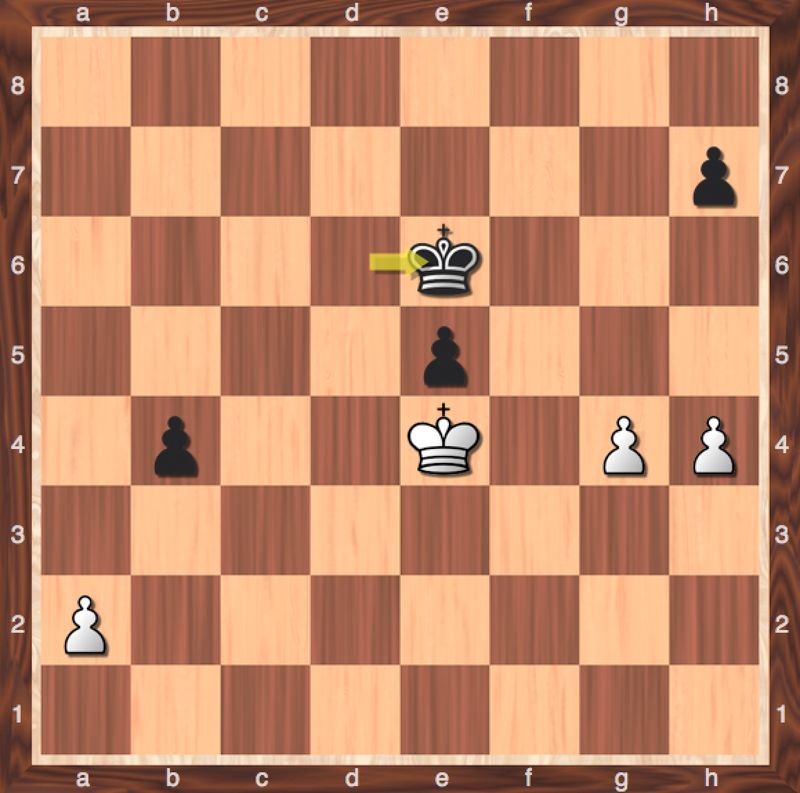 24…Bc7 And now it becomes clear how messy White’s position truly is. With the a-pawn lost, White quickly grabs the h-pawn. 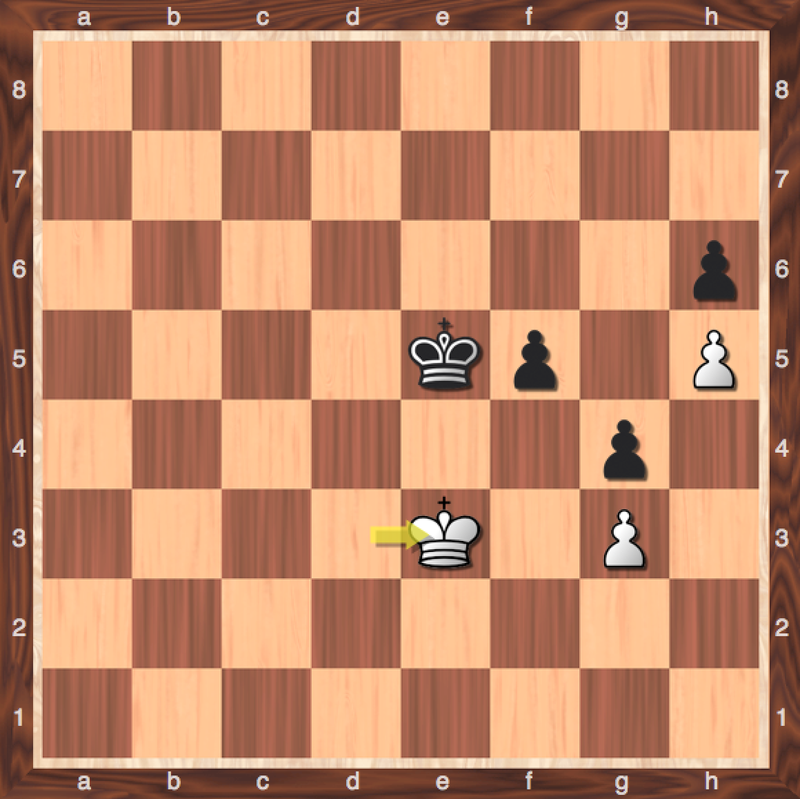 While material may come out even, Black gets a strategic advantage by opening the h-file. 32.Nd3?? After being outmaneuvered for most of the game, Haast makes her first big mistake, and Shankland finds a strong tactical blow. 34…Rxh2+! Using the h-file to create a king and queen fork. If White does not comply, Black has …Qh5, putting more pressure on the h-file. Like in the first game, Shankland uses his ability to maneuver pieces to active squares to outplay his opponents. In the first game, he attacked the c5 and e5 squares, and the second, the c5 square also played a big role. In both of the these cases a knight on these squares really limited the mobility of the opponent. Much like the Doctor, Shankland finds ways to inconvenience his opponents at exactly the right moment. Even if you don’t play the French or the Sicilian Najdorf, most openings have potential outposts. Your pieces are your sonic screwdrivers! A pretty good tournament from Shankland this past weekend in the first super tournament of 2015. We’ll be seeing more from the Doctor in the near future! In this month’s USCF (United States Chess Federation) rankings, I placed 44th among all 18 year olds in the country, just 5 more spots up before reaching my goal! With my official rating of 2040, I am the highest rated 18 year old in the state of Virginia! I played an interesting game on ICC today, where my opponent took an unorthodox approach to the opening. Here’s a good mindset for handling such perspective. Today I came out with a Live Chess video! For this video, I played a G/15 game on the Internet Chess Club (ICC) and analyzed each position as I made my moves. After starting with a new opening, I took a relatively equal opening and played to a fairly dynamic endgame. Hope you enjoy!